As a member of the Senate Appropriations Committee, I will be closely reviewing the $34.1 billion state budget proposed Tuesday by Gov. Tom Wolf. I applaud the Governor for proposing no new taxes and additional funding for education and human services. However, spending levels need to be reviewed to prevent tax increases in future years, and the state needs to take steps to reduce recidivism among Pennsylvania’s former inmate population. Judicial reforms being implemented across Pennsylvania will result in former inmates looking for jobs. If we don’t give incentives to employers to hire them, they are going to be back in the system. All of the dollars being saved by judicial reforms should be used to link the newly released with jobs so that we can reduce recidivism. I was pleased with funding for workforce development. One of my priorities as a member of the Legislature has been to bring new businesses into Pennsylvania and to foster family sustaining jobs, and training people to fill those jobs is a necessary component to achieving job growth and economic success. I remain committed to getting the Commonwealth to create a full-day Career and Technical Education program in the 40th Senate District and across Pennsylvania. We have too many students going into debt for a college degree they are not going to use, or spending hours of their school day on a bus traveling from their high school to their vocational-technical school. Full-day Career and Technical education would eliminate both of these problems. Finally, I was disappointed by what the Governor did not discuss. I was hoping to hear him say something about school property taxes, the number one issue for constituents in my legislative district. As a leading advocate for eliminating school property taxes, I was disappinted the Governor did not address this. Hopefully, he can be pushed in the direction of supporting what so many people across Pennsylvania are demanding. The Senate Appropriations Committee will hold a three-week series of Departmental Budget Hearings beginning on February 19. The hearings provide an opportunity for the Appropriations Committee to hear cabinet secretaries and other Administration officials detail their plans for the upcoming fiscal year. The state’s current fiscal year ends on June 30. It was a special day in the Governor’s Reception Room recently when I took part in the ceremonial signing of my bill creating the Spinal Cord Disability Research Grant Program. I introduced Senate Bill 31, now Act 126 of 2018, to help Pennsylvania lead the way in discovering new and innovative treatments and rehabilitative efforts for spinal cord disabilities. The legislation will invest $1 million into a grant program that awards grants to research institutions for research into spinal cord injuries. The funding does not use new revenue, but rather existing money dedicated toward health-related research programs. Alex Pitts and his mother, Melissa, (to my right in the above photo) were on hand for the ceremony, as was Representative Marcia Hahn (R-138), who sponsored a companion bill in the House of Representatives, and Matthew Roderick of United to Fight Paralysis. People with spinal cord disabilities need our support and one million dollars for research will go a long way in ensuring that these individuals can live a vital life. Pennsylvania has led the charge on many medical breakthroughs with our talented research universities and vibrant medical landscape. 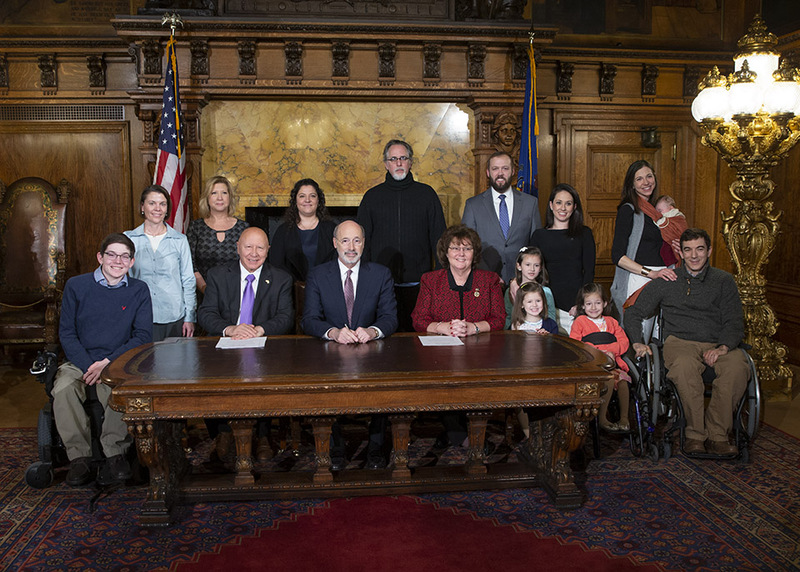 Now, our Commonwealth will become a leader in finding a breakthrough that will provide boundless opportunities and positive impacts on the lives of people with spinal cord disabilities in Pennsylvania and across the nation. A measure that would strip taxpayer-funded pensions from public employees who commit job-related felonies was approved on Monday by the Senate. Senate Bill 113 closes the “Mellow Loophole,” named after former Senator Bob Mellow of Lackawanna County, who in 2017 had his $245,000-a-year pension restored despite pleading guilty and being sent to prison on federal conspiracy charges. The bill would require pension forfeiture if a public employee or public official is convicted, pleads guilty, or pleads no contest to any felony offense related to his or her employment. The Public Employee Pension Forfeiture Act currently only requires pension forfeiture for certain crimes. Therefore, lawmakers and other public employees will plead guilty to a non-forfeiture crime in order to avoid losing their pensions. The legislation also ensures that criminal convictions involving public officials are reported to state pension boards, which is not currently required. Senate Bill 113 now goes to the House of Representatives for consideration. Many constituents have reached out recently urging me to support Victoria’s Law which, among other provisions, will cut off pet stores from serving as pipelines for puppy mills (facilities that breed puppies solely for profit). 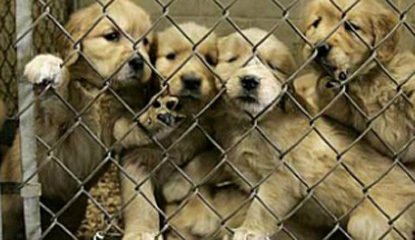 The legislation would also require that all pet store puppies be sourced from animal shelters and rescues. I am a proud co-sponsor of this legislation, which is being introduced by Senator Tom Killion and Senator Andy Dinniman. This bill is named after Victoria, a German Shepherd, who was forcibly bred for 10 years to deliver between 150-200 puppies. She is now paralyzed as the result of a genetic, neurological disorder called Degenerative Myelopathy – which sadly has now been passed down to her puppies. This legislation is a critical step toward ensuring the health, safety and welfare of our pets. It also protects consumers from spending thousands of dollars on caring for sick or behaviorally-challenged pet store puppies. As this important legislation continues to gain support and move through the approval process, I am hopeful for quick consideration in the Senate and House. To learn more about what the bill proposes, I would encourage you to visit Humane PA PAC and view the informational page. Senate Resolution 20 urges the Pennsylvania Supreme Court to delay action on its proposed change to Rule 1006 regarding venue in medical professional liability actions. Senate Bill 85 provides for license fee exemptions for service dogs used by a fire department, sheriff’s office or in the performance of rescue services or medical emergency services. Currently, the fee exemption exists only for any municipal or State police department or agency. Senate Bill 147 empowers the Pennsylvania Game Commission to allow Sunday hunting. Senate Bill 49 extends “Good Samaritan” civil liability to a person who — in an effort to save a child — breaks a window or forcibly enters a parked, locked vehicle. Senate Bill 86 amends the Newborn Protection Act to add urgent care centers to the list of “safe havens” where a parent may surrender a newborn. Senate Bill 133 amends the State Constitution to allow gubernatorial candidates to select their own running mate. Senate Bill 190 conveys a property in Somerset Township, Somerset County. Senate Bill 43 designates a portion of U.S. Route 30 in Westmoreland County, as the J. Edward “Hutch” Hutchinson Memorial Bypass. Senate Bill 62 reduce the percentage of service-connected disability required for a veteran to qualify for a severely disabled veteran license plate from 100 percent disability to at least a 75 percent disability. Senate Bill 117 designates a bridge on State Route 3016 (Bedford Street) over Solomon Run in the City of Johnstown, Cambria County, as the Seaman Apprentice Kenneth D. Scaife Memorial Bridge. 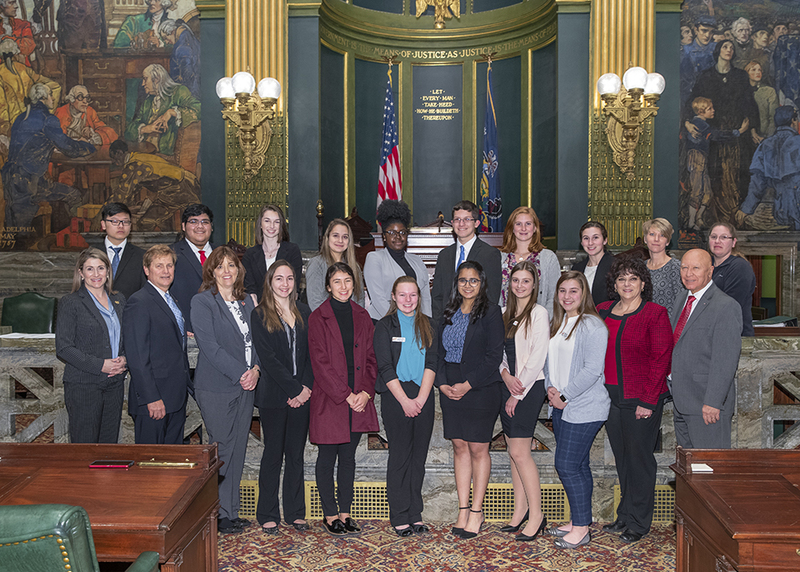 This week I was pleased to join State Representative Rosemary Brown and Representative Jack Rader in welcoming area students active in Future Business Leaders of America – Phi Beta Lambda. These Pleasant Valley and Stroudsburg students were honored by Rep. Brown with a Resolution on the floor of the House. It’s exciting to see these students honing skills and investing in personal development as they set their sights on future careers. I want to offer a special thank you to the teachers and advisers who help lead this program and provide these vital opportunities for our up-and-coming leaders. 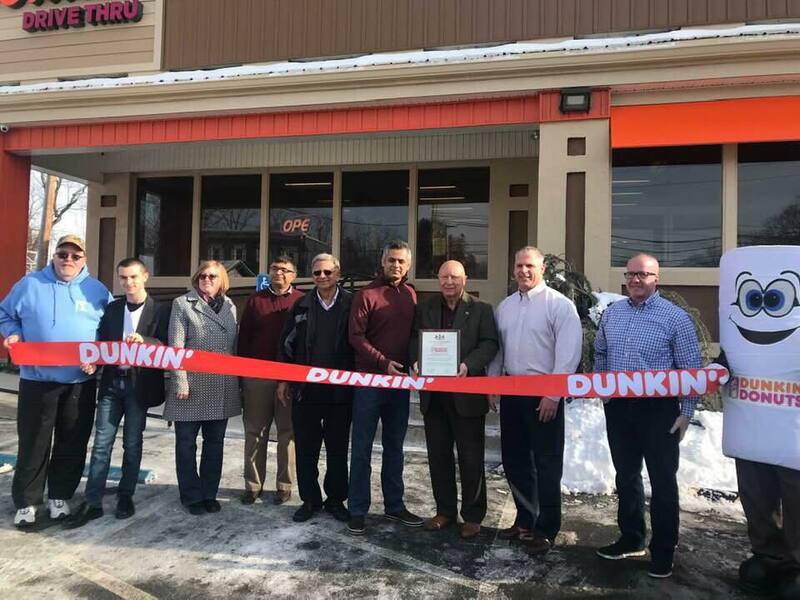 Congratulations to Dunkin Donuts as they celebrate the grand opening of their new location in Portland. Thank you for investing in our community and for hiring 16 local employees. We wish you all the best! The Senate Appropriations Committee will hold three weeks of public hearings on the proposed state budget from February 19 to March 7. You can view the hearings and hearing summaries at PASenateGOP.com. The Senate will reconvene Monday, March 18 at 1 p.m.